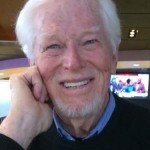 Ray E. Hiebert is a writer, editor, teacher, researcher, and specialist in international communication. He is a professor emeritus and was founding dean of the College of Journalism at the University of Maryland. He is author and editor of books and articles on history, biography, journalism, public relations, public affairs, and mass media. He has most recently been a consultant to the University of Maryland’s journalism education projects in China. He is currently the editor of the international communication journal, Public Relations Review. He was founding director of the American Journalism Center in Budapest, serving from 1991 to 1995. The Center, with a grant from the International Media Fund in Washington, conducted journalism courses for Hungarian students and workshops for Hungarian journalists. From 1983 to 1991, he was the academic advisor to the Voice of America, helping create the VOA’s International Communication Training Center, which offers short courses for journalists, broadcasters, information specialists, and communicators from all over the world. He was director of the Center’s Summer Fellowship Program for Third World Journalists for seven years. He has traveled extensively in Africa, Asia, Eastern Europe, and the Caribbean as a free-lance journalist, researcher, and lecturer. He has directed workshops in fifteen different countries of Africa, four Caribbean countries, the former Soviet Union, Hungary, Poland, Latvia, Estonia, Albania, and Bulgaria, and in Japan, South Korea, and the Philippines. In 1982 he was awarded a Fulbright Fellowship to work with the Liberian Broadcasting System and the University of Liberia to develop a journalism training program for Liberian students and broadcasters. He was a visiting professor at Rhodes University in South Africa in 1984 and at the University of Algiers in 1990. He was the “Robert Godlonton Memorial Lecturer on Mass Media” in Pretoria, South Africa, in 1991. He has given lectures at universities in Amsterdam, Leipzig, Tehran, Dubai, Wuhan (China), and Hong Kong. In 2000, the University of Maryland gave him its Landmark International Award for his contribution to international education and understanding. At the University of Maryland, the College he founded has subsequently become one of the top ten in the nation. Earlier he had been founding director of the Washington Journalism Center, and chair of the Communication Department at American University. He is co-author of several important texts, including Mass Media (Longman, 6th edition, 1991) and Exploring Mass Media (Erlbaum, 2000). He is editor of Impact of Mass Media (Longman, 4th edition, 1998), Precision Public Relations (Longman, 1988) and The Press in Washington (Dodd, Mead, 1966). He is co-editor of Issues in International Communication (Longman, 1989), Media Now (Longman, 1985), Informing the People (Longman, 1979), Political Image Merchants (Acropolis, 2nd edition, 1976), and The Voice of Government (John Wiley & Sons, 1968). 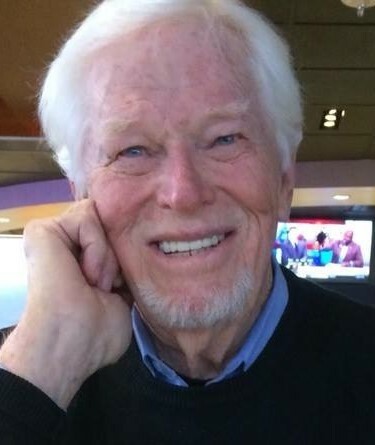 He is also the author of four biographies, including Courtier to the Crowd: The Story of Ivy Lee (Iowa State University Press, 1966), and editor since 1975 of the Public Relations Review, a critical research journal. Hiebert grew up in California and received his BA from Stanford University, MS from Columbia University Graduate School of Journalism, and an MA and PhD in American studies from the University of Maryland. He started his professional career as a journalist and worked briefly for the Los Angeles Examiner, Washington Post, NBC News, and the American Banker, a financial daily in New York. He also served for two years as the editor of a U.S. Army newspaper in Orleans, France.